MicroSoft’s OneNote is turning into my organizational tool of choice. Today I learned how to save a webpage into OneNote from Chrome. I use Google’s Chrome browser and I like Google docs for working on a document anywhere. (It has reduced the need to carry around my laptop which has a rather delicate disposition.) But I have found Google Drive to be one dimensional. There’s no real mechanism to save images and webpages as part of an overall project other than in a folder, for example. I’m a PC/android user, so Apple’s EverNote is not an option. Apple products may be intuitive to its loyal fan base, but not to me. I started working with computers back in the days of a c-prompt. Keyboard shortcuts make me happy. When I began my novel writing project, I bought a copy of Scrivener which also has great reviews. But again, I’m a multi-device, multi-location, the cell phone is in my hand let’s use it, kinda girl. Scrivener isn’t multi-platform yet as far as I know. One of my favorite writing craft blogs is jamigold.com. One day last month, there was a guest post by Jenny Hansen about OneNote (How to Organize Our Writing and Research Notes). I’ve had OneNote sitting on my desktop at work since I upgraded to Windows 7 and on my laptop since I bought it — and I never looked at it. Originally, OneNote came as part of MS Office Suite. Now, happily, it is free on all platforms. Jenny convinced me to look at it. Now, I loathe spending time learning yet another tool and opening yet another in-the-cloud account to feed the Big Data monster. But last week I broke down, signed up for MicroSoft’s OneDrive, fired up OneNote and took a look around. I started setting up the bare bones of my projects. This morning, I read an article that I wanted to save in my WIP notebook. I Googled around, figured out how to do and am here to tell you about it. First, you need a Chrome browser plug-in. There are a few to choose from. I opted for OEM instead of after-market: MicroSoft’s Clipper for OneNote. It’s a simple install. Just open your browser bookmark bar (ctrl-shift+B) if it isn’t already opened and drag the purple “Clip to OneNote” icon to your bookmark bar. Now, you are ready to start saving things you find on those internets to your OneNote notebooks. “Clip to OneNote” is sitting up there waiting for you to put it to work. Use it whenever you find a web page you want to preserve in one of your OneNote notebooks. When you’ve landed on a webpage you want to save into one of your notebooks, hit that “Clip to OneNote” icon on your bookmark bar. You’ll get a prompt asking you to sign into Clipper using your MicroSoft OneDrive credentials, if you are not already signed in. Sit back and wait for MicroSoft and Google to talk to one another over Verizon (in my case) while each of them stores this bit of minutiae about your life to be used by them later to sell you something. Where has it been saved? The eternal question in the world of downloads. If you’re interested in making sure that it has properly been sent to your notebook, click that OneNote icon now in the top left of the browser. You are brought to your OneNote on-line space. 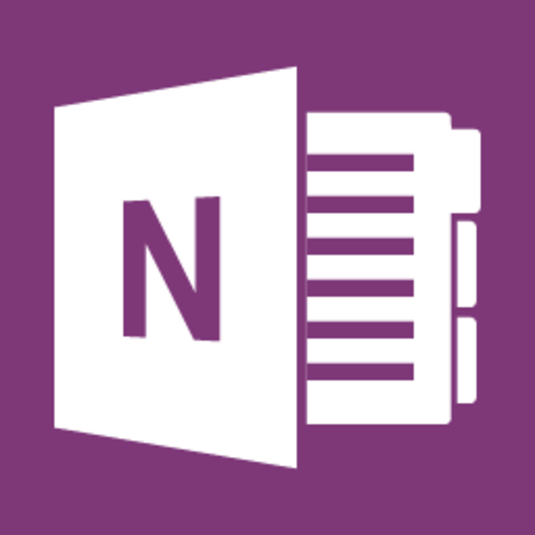 OneNote creates a Quick Notes section in one of your notebooks. (Which notebook it picks is not clear to me, yet — I have created four notebooks. OneNote seems to be dropping my clippings in a Quick Notes section in the first notebook I created.) OneNote then creates a page in that Quick Notes section with the title of the webpage that you clipped. At this point the webpage is only saved in your online space. So, now it has to be sync’ed with your various devices. I’m still figuring out all the syncing scenarios. But fire up OneNote on your desktop or laptop and sync the notebook. You can sync your notebook by right-clicking on the title of the Notebook to select sync (shift + F9) or to check when it was last sync’ed. If your desktop version of OneNote was already open, the Quick Note has probably already been saved. If the webpage is not where you want it, you can move it to where it belongs. Once your desktop (local) version of OneNote is open, you can go in and drag and drop that page to whatever notebook and whatever section you select. This is my #OneNoteOneTip for today because I read an article in the New York Times called 50 Years Into the War on Poverty, Hardship Hits Back. If you’ve been reading my blog, you know that I have an interest in the legacy of coal in West Virginia. I wanted to save the article for future reference. Thanks for the shout out to my blog! I’ve been using OneNote more often since Jenny’s guest post as well. 🙂 Thanks for the tip too! I have the “Clip to OneNote” in my browser, but I keep forgetting about it. LOL! I’m glad you stopped by Jami. Sometimes the real challenge is getting Microsoft products to talk to Google to work in WordPress. Next up on my hit list is the comments section of my blog. I’ll revisit the extensive discussion you had on that issue, as well.